An easy to read, carefully curated, detailed overview of all the key features in Bet Angel and how to use them. 185 pages of detailed content on every feature. Download & read anywhere. Step by Step guide to getting started with Bet Angel and all its major features. This course will take up to 2.5 hours and is an in-depth guide to all key features. A complete guide to all the this you need to know about when trading Cheltenham. Packed full of advice and videos. Nearly 4.5 hours of top quality content. Want to learn about trading, don't know where to start. This mini-course will get you off on the right foot in double quick time. Supercharge your trading using the speed, accuracy and lack of emotion of automation; combined up with the intuition and foresight of manual trading. They will transform the way you trade! Tennis is one of the most popular in-play sports available to trade. 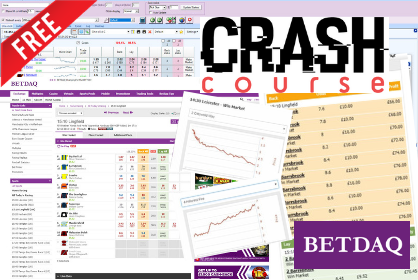 Walk through key concepts and learn to trade tennis on Betfair and also learn about some amazing tools like Tennis Trader.